2 Loops and A Hooey! It's G R A N D O P E N I N G time, and you're invited! 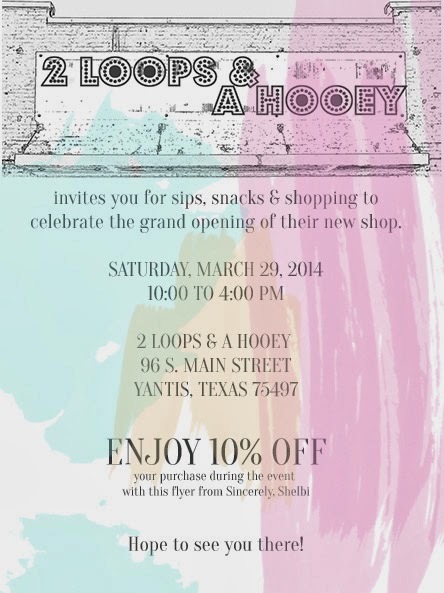 for a great new place to shop in Yantis, TX! Be sure to let them know Sincerely, Shelbi sent you and you won't be sorry! or post them in the comments section below! I will post my favorites on Monday! Will I be seeing you there? Let me know!